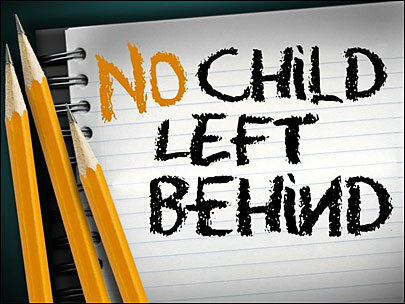 NCLB is about to get reauthorized, which is both a good thing and a bad thing. First the bad news. The reauthorization, under the name of “The Every Child Achieves Act of 2015,” maintains testing requirements, and requires state standards that prevent more local control of education. Tests are required to be the same in every school in the state, and any plans submitted by the states for how to structure their education programs must be reviewed and approved by a panel representing a wide cross-section of states, rather than letting each state determine its own policies. (C) make financial support available in a manner that is conditioned upon a State, local educational agency, or school’s adoption of any specific instructional content, academic standards, academic assessments, curriculum, or program of instruction (such as the Common Core State Standards developed under the Common Core State Standards Initiative, any other standards common to a significant number of States, or any specific assessment, instructional content, or curriculum aligned to such standards). This language is functionally identical to that of Senator Pat Roberts’ standalone bill, The Local Level Act, for which FreedomWorks issued a letter of support earlier this year. This is important because until now, states have been unable to effectively repeal Common Core because of the Secretary of Education’s power to strip them of education funding. This bill would prevent that, and allow states to regain control of their own standards. There’s a lot not to like about the Every Child Achieves Act, but the Common Core language, at least, is a victory for conservatives. If one reads the U.S. Constitution, one finds that it starts out with: All legislative powers herein granted... , the tenth amendment: Powers not delegated to the United States.... The wording of the Constitution forbids the federal government from having anything to do with education, outside the District of Columbia, whatsoever, directly or indirectly.